Both houses have wifi/ADSL and satellite TV. Buildings, located around a typical French courtyard, are beautiful restored, 3 terraces with a splendid view over valley. Our 2 vacation houses are ideally for groups or families and/or friends from 10 to max -15 people. Non-touristic atmosphere, where time has stand still. Golf available at 15 min. Marked walking paths, canoeing at local river and much more to do. Bonjour. We Leo & Angela Struijk Salvetti live in La Crouzille since 2005, after many years living and working in various countries. Especially in Japan and China we spent 15 years But the Dordogne is now our " home" and we are very happy to live in this beautiful, quiet area. 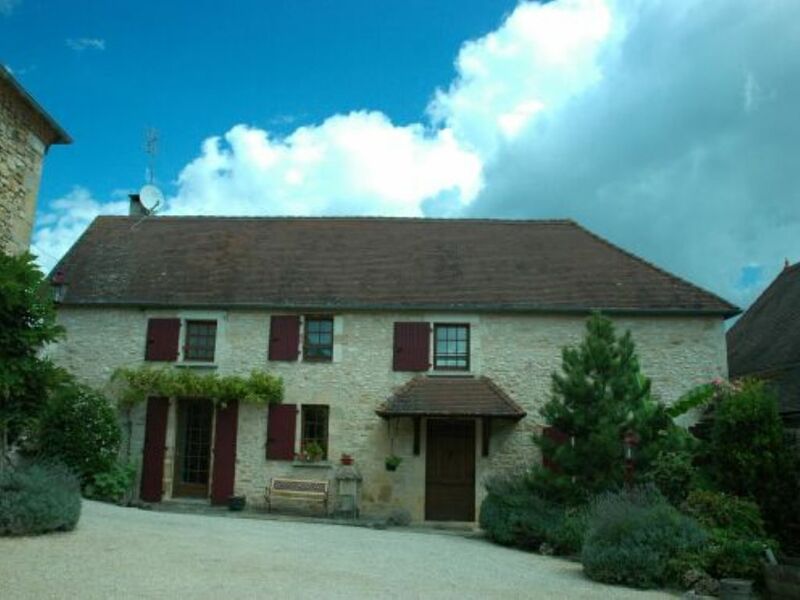 La Crouzille is a small authentic French hamlet where domaine "Le Dragon Rouge" is located with a terrain of .8 ha. The last 5 years we restored the various buildings, which are located around a typical french courtyard. Much attention was paid to details, to conserve the original structures from 1860. Especially in the early morning we enjoy the fabulous view over the valley with often the deer grazing. In the evening the terraces are comfortable and cool till late in the evening. La Crouzille is ideally located 7 km from Excideuil and 3km from Hautefort for the local shopping, medical care etc. Perigueux the capital of the Dordogne is only 30 min. away and offers much. Limoges and Bergerac at about 75 km, both with an airport with connections to various cities in Europe. People in Dordogne are polite and friendly and very helpful. In our small village the local people enjoy working in their vegetable garden, drinking their home made wine and of course the pleasant climate. Perigueux offers many shops, restaurants, an excellent hospital and a beautiful restored cathedral. Hautefort with its castle and Montagnac with the grottes of Lascaux are nice places to visit. Please come visit us! A golf course is available at 15 min distance. We are located 35 km from Perigueux and Brive. 75 km from Limoges and Bergerac, each with an airport. We are 40 km away from north south motorway A20.